The Middle East is losing its ancient Christian heritage. When Iraq was invaded in 2003, 1.5 million Christians were living there. Now the figure is 400,000 and falling. 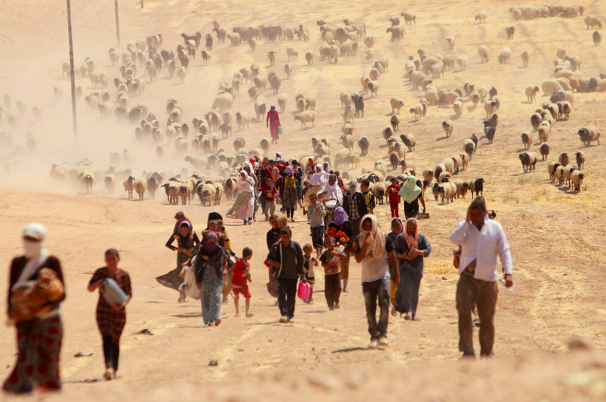 The savagery of the Islamic State has accelerated the Christian exodus. Mosul, about 400 kilometres to the north of Baghdad, was captured by IS in June last year. Ten years ago it had about 60,000 Christians. Now there are none. IS gave them an ultimatum: conversion or death. For the first time in 1,600 years there was no Christmas in Mosul. In the wake of horror stories like this in the media, many in the West have denounced Islam as a malevolent religious virus, a barbaric creed. But how have the Christians who live there responded? Not exactly as their Western defenders might expect. Many have fled. Others favour a policy of isolating themselves and forming their own political parties. Other abjure their history and call themselves Arameans, Phoenicians, Copts or Chaldeans – anything but Arab. But there is another, more positive, reaction. Two impressive recent Catholic documents have issued calls for solidarity with persecuted Muslims, and, unbelievably, hope. All of us, Christians and Muslims, must also be aware that the outside world will not make any real move to protect us. International and local political powers seek their own interests. We, alone, can build a common future together. We have to adapt ourselves to our realities, even realities of death, and must learn together how to emerge from persecution and destruction into a new dignified life in our own countries. … in the name of truth, we must point out that Christians are not the only victims of this violence and savagery. Secular Muslims, all those defined as “heretic”, “schismatic” or simply “non-conformist” are being attacked and murdered in the prevailing chaos. In areas where Sunni extremists dominate, Shiites are being slaughtered. In areas where Shiite extremists dominate, Sunnis are being killed. Yes, the Christians are at times targeted precisely because they are Christians, having a different set of beliefs and unprotected. However they fall victim alongside many others who are suffering and dying in these times of death and destruction. 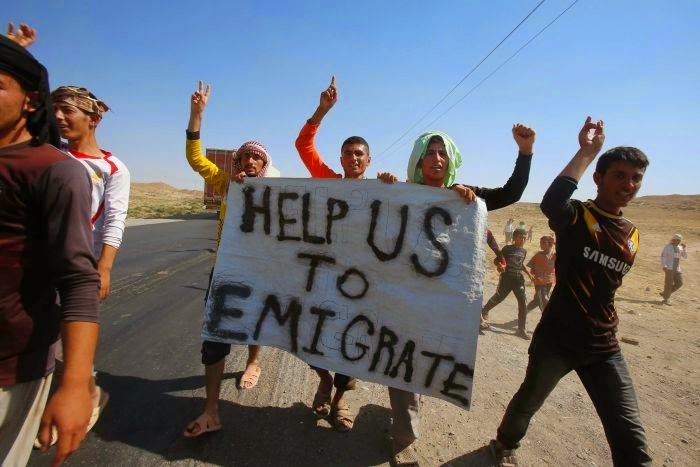 They are driven from their homes alongside many others and together they become refugees, in total destitution. Furthermore, the bishops admitted that some Christians had purchased safety at the expense of justice by cosying up to the secular regimes of Saddam Hussein in Iraq and Bashir al-Assad in Syria. Christians had lived in relative security under these dictatorial regimes. They feared that, if this strong authority disappeared, chaos and extremist groups would take over, seizing power and bringing about violence and persecution. Therefore some Christians tended to defend these regimes. Instead, loyalty to their faith and concern for the good of their country, should perhaps have led them to speak out much earlier, telling the truth and calling for necessary reforms, in view of more justice and respect of human rights, standing alongside both many courageous Christians and Muslims who did speak out. … the repetition of the word “persecution” in some circles (usually referring only to what Christians suffer at the hands of criminals claiming to be Muslims) plays into the hands of extremists, at home and abroad, whose aim is to sow prejudice and hatred, setting peoples and religions against one another. Christians and Muslims need to stand together against the new forces of extremism and destruction. All Christians and many Muslims are threatened by these forces that seek to create a society devoid of Christians and where only very few Muslims will be at home. All those who seek dignity, democracy, freedom and prosperity are under attack. We must stand together and speak out in truth and freedom. After the atrocities in Paris, where terrorists killed 17 people earlier this month, many Westerners might find this call for solidarity with persecuted Muslims baffling. Isn’t Islam a religion of violence, a “death cult”? But both of these documents advise Christians not to solve the conundrum of what constitutes authentic Islam, but to work with Muslims of good will, of whom there are many. This is one of the themes in a fascinating article in the latest issue of the Jesuit magazine La Civiltà Cattolica. The author is David Neuhaus, an Israeli Jew who converted and later became a Jesuit priest. He works in Israel with Hebrew-speaking Catholics. His message is that Christian must not give in to fear when faced with extremism. They must not regard all Muslims as enemies. Fear does not know fine distinctions however. It is essential that Christians study each current of political Islam in detail. The Islamic movements in Iraq and Syria are diverse and divided, these movements cannot be simply assimilated to the Islamic movements in Egypt and Palestine. Murder and programmatic displacement of Christians cannot be assimilated to demands that Islamic symbols be respected and prioritized. 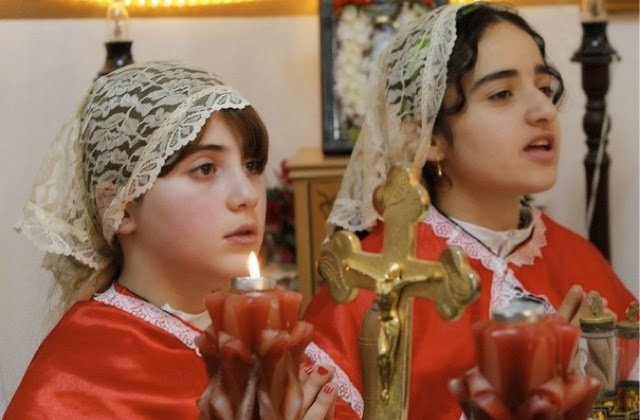 Emptying Mosul and the plain of Nineveh of Christians is not the same as Muslims demanding that their daughters be allowed to wear a head covering (hijab) in Christian schools in Jerusalem. First and foremost, it must be recognized that the first victims of Islamic extremism are Muslims who do not agree with the vision of the extremists. More Muslims have been murdered by the extremists than Christians, more Muslims have fled in fear. Secondly, other minorities, for example Yazidis, Druze and Alawis, are at greater risk than Christians because their religious faith and practice are seen as beyond any acceptable Muslim vision of diversity. 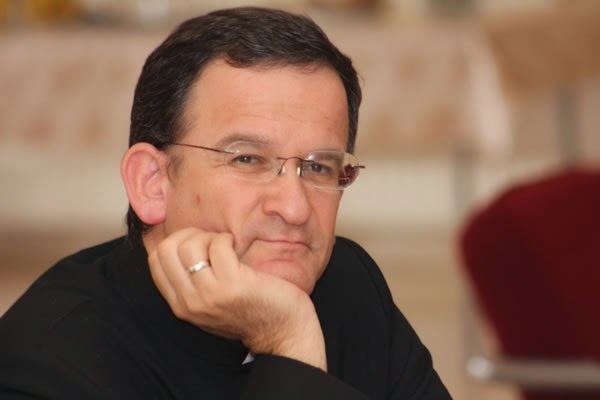 In fact, Fr Neuhaus argues, these calamities offer an opportunity for engagement with Muslims of good will. In the past, outreach through schools and hospitals has given Christianity immense prestige in the Arab world. In the Gaza Strip, for instance, 98 percent of the students in Christian schools are Muslim. Michael Cook is editor of MercatorNet, from where this article is adapted.